any tribes and peoples believe there was one original human race. Over time, people migrated to all the four corners of the earth and became divided. Traditional prophecies of the Sumerian state that a day will come when a great and holy teacher will address all people and summon them to unite at NUNKI (heavenly place on earth). This day has now come, and the foundation for unity in diversity has been established. Now you and your team have the task of uniting the 4 different tribes participating in the game. nowledge, imagination and creativity are NUNKI tools! You’ll use them to move the game figures on the board along their path to unity. Teams move forward either by answering questions – some easy, some difficult – or by naming concepts based on the explanations, drawings and pantomime presentations of team members. On certain fields there are matching tasks to do. This is a suspenseful moment: How many of the team members have written the same concept? Look forward to a challenging team experience! 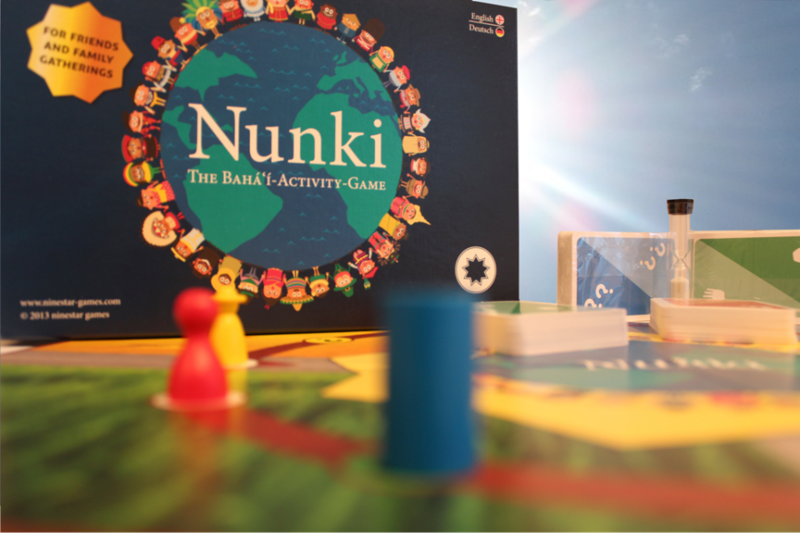 NUNKI enhances your creativity – and your knowledge of the Holy Writings, history and administration of the Bahá’í Faith. EMBARK ON AN EXCITING AND INSPIRING JOURNEY!